This week I was foolish savvy enough to brave the Dion Lee sample sale in Sydney, meaning a few mad dashes to the racks and a lot of passionate Dion Lee fans all in one room. 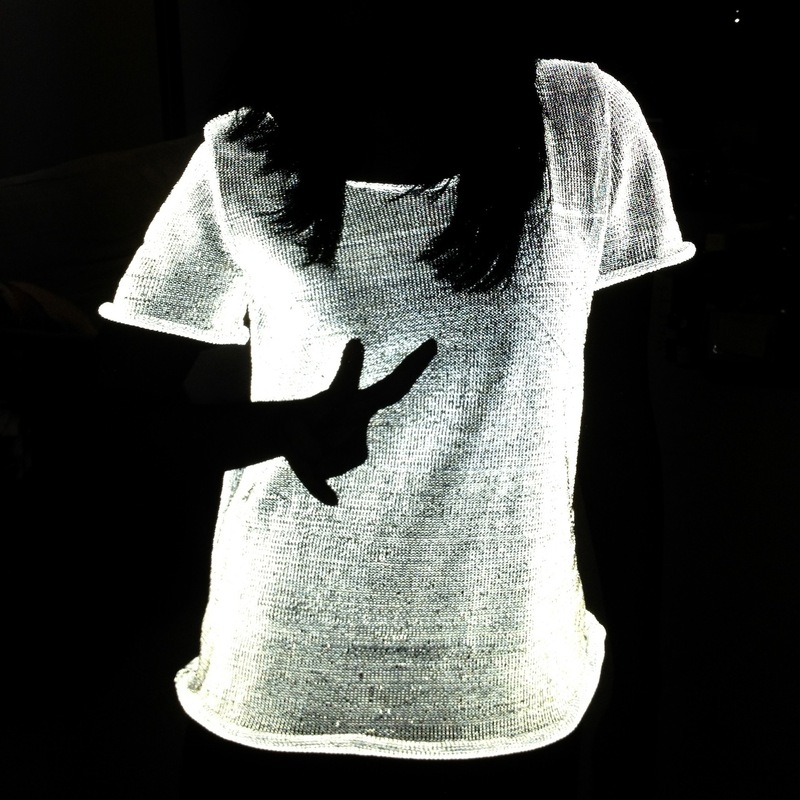 I had been lusting after this Reflective Knit Tee for sometime now, but never been bold enough to buy it - its too cool luminescence technology had me at the get go. The other two fabulous pieces are from possibly one of my favourite collections of his, Resort 2013 where he used intricate linear patterns to create absolute masterpieces that you can't stop looking it. Statement and iconic pieces that are easy to wear and ever so Dion. To say I was ecstatic with my finds would be an understatement, I could not stop smiling all evening and literally sat in my room surrounded by my fabulous finds in complete bliss. so visually interesting! I love the mix of prints and sweater! Very interesting... Wow. Never seen anything like this before. that skirt with the neon accents in the second photo! I want that! So glad I managed to avoid the sale. I would have bought so much!